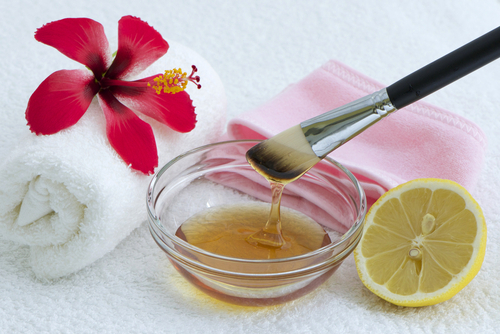 10 Amazing Waxing Tips For Silky Smooth Skin On Your Big Day! You’ve looked into each tiny detail for every possible routine while prepping for your wedding to look your best on your big day. You may have been waxing for years now, and probably believe that you know everything you need to know about this hair removal procedure. But hold on, glance through this piece and enlighten yourself before your pre-wedding waxing routine. We promise, that if you keep these waxing tips in mind, you’ll be your smoothest best on your wedding day. Timing is everything when it comes to a pre-wedding wax. Everybody’s hair grows at a different rate, the normal being between 3-6 weeks. Wax too early and you aren’t fuzz-free for the big day, wax too late, and you may end up with sensitive, blotchy skin. The key is to aim for a time somewhere in between, around 3 days to 1 week before the celebrations begin, depending on your hair growth. This way your skin remains smooth and has a chance to recover from any irritation that may be caused by waxing. Well prepped skin handles a waxing session way better than skin that hasn’t been attended to. Include regular exfoliation sessions into your routine, and start this a couple of months in advance to ensure that the skin has had enough time to slough off the dead skin cells and renew itself in time for your special day. Supplement these with regular oil massages to make sure your skin is well moisturised, has a natural sheen and is supple. Also read: Preparing For Your Wedding Night? 9 Top Beauty Tips! Skin rejuvenates itself every 28 days. This means the dead cells take that much time to reveal the inner layer of fresh cells. Accelerate this process by incorporating regular exfoliation into your skincare routine. You should be doing this anyway, but if you aren’t, then start this at least a few months in advance to make sure your skin is at its best for your big day. Fresh skin cells mean better absorption of any oils/moisturisers and lesser ingrown hair when you wax. We cannot stress enough on the importance of exfoliation for the skin – the earlier you begin the better. Ingrowth of body hair can be a nightmare. They occur when the hair grows inside the follicle as opposed to outside it. Stubborn deep-rooted ingrowth cannot be removed by waxing alone. However, the superficial ones are removed effectively because waxing takes off the top layer of dead cells allowing the ingrown hair to come to the surface. If you are prone to ingrowth of hair, consult a dermatologist well in advance, who will most likely to prescribe a topical medication that will unclog the follicles. No matter what, DO NOT pick on them as that can leave an ugly scar behind! A wax session a few days before the wedding and you won’t have to worry about regrowth until a couple of weeks later. If you’ve never had a bikini/ Brazilian wax before, make sure you give it a shot at least a few months earlier to see how your skin tolerates it. This will give you a chance to assess how long it takes for it to grow back and you can plan your next session accordingly. The ideal hair length for a wax is 1/8th of an inch, so, it helps to trim before a wax session for optimum results. If you experience any irritation, your dermatologist can prescribe a topical ointment to soothe the skin. Keep this tube handy for your future wax sessions. Ubtan has been used for centuries to remove body and facial hair. Mix besan, honey, turmeric and water into a thin, paste-like consistency. Allow this mixture to sit on your skin for about 20 minutes. Once it dries up, moisten your fingertips and gently scrub in a circular motion to remove any residual hair. This process is a wonderful exfoliant, that leaves your skin smooth, supple and fuzz-free. For any hair that still won’t budge, don’t be afraid to shave a day before your wedding. As opposed to what many believe, shaving doesn’t increase hair growth or density and can do away with any stray strands in a jiffy, making it the perfect go-to strategy in such situations. Avoid wearing tight clothes right after you get a wax and make sure your skin stays cool by taking frequent showers and using cooling lotions. This ensures that the skin isn’t exposed to too much friction or heat that can cause red bumps. Make sure your skin is well moisturised after you wax to avoid any irritation. Opt for fragrance-free lotions and oils to minimise the chance of any possible sensitivity. Picking the right place and the right beautician is very important. Make sure you do your research before finalising a salon for your D-Day beauty activities. The beautician you opt for should be well trained and experienced in handling different types of skin. Don’t hesitate to ask questions about the process, results, follow-ups and the way to maintain your results. Once you’ve finalised a salon and a beautician, refrain from experimenting too close to your wedding day. And, always, always, have a backup option lined up, just in case! Also read: A Destination Wedding Beauty Guide For The Complete Newbie! With so many options to choose from, it can get confusing to narrow the best type of wax for your skin type and for each body part. 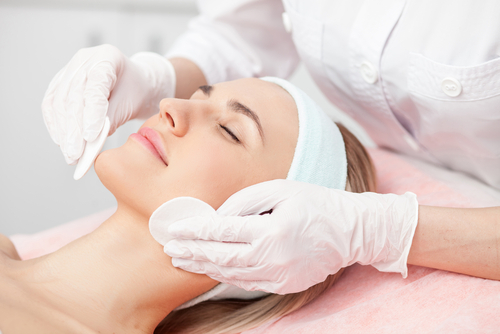 Wax for hair removal can be broadly classified into two categories – hard wax (strip-less) and soft wax (with strip). Wax that is in liquid form when applied and hardens in a couple of minutes is called hard wax (aka katori wax). This type of wax does not require a cloth or plastic strip for its removal. It is best suited for small body parts. Soft wax, on the other hand, is the regular wax that requires a strip for removal and is best suited for larger body parts. Soft wax may again be cold or hot. Pick a wax accordingly to your needs and your skin’s tolerance levels. This is a thumb rule you don’t want to flout. Don’t experiment with different types of waxes, a body part that you haven’t previously waxed or a new salon close to your big day. Stick to what you know works for your skin. You never know how your skin may react to a new wax formulation or a new beautician’s techniques. If there are certain parts you haven’t waxed before but are keen to do it for your wedding day, make sure you try it at a reputable place a couple of months before the wedding. This will give you enough time to tackle any reaction that may occur.